Interested in becoming an advisor for the world most luxurious real estate company? We're a technology-based company and we pride ourselves on being on the cutting edge. 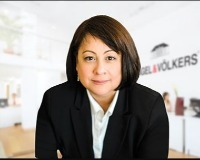 If you've ever considered changing careers, or if you're wondering if real estate might be a good fit for you, we'd love the opportunity to meet with you and show you what Engel & Völkers Spokane has to offer you. For more information please contact us.